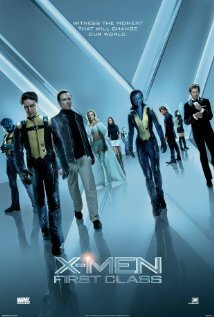 This entry was posted in 2010s, Reviews N - Z and tagged 2011, action, Adventure, Brett Ratner, Bryan Singer, Caleb Landry Jones, Gavin Hood, James McAvoy, January Jones, Jennifer Lawrence, Kevin Bacon, Lucas Till, Matthew Vaughn, Michael Fassbender, Movie Review, Nicholas Hoult, Oliver Platt, Rose Byrne, Science Fiction, X-Men, X-Men: First Class by Daniel Prinn. Bookmark the permalink. This was a good movie because it got rid of the bad taste left in most people’s mouths from Origins and X3. That, and also it was a very fun movie. Good review Dan. Brought the series back from brink!